Nonalcoholic fatty liver disease (NAFLD) is characterized by the accumulation of triglycerides in the hepatocytes of patients who don’t abuse alcohol. It ranges in severity from simple steatosis (excessive fat accumulation) to steatohepatitis (liver cell injury and inflammation). Nonalcoholic steatohepatitis (NASH) is a subtype of NAFLD in which steatosis coexists with steatohepatitis. NASH can progress to cirrhosis and hepatocellular carcinoma. NAFLD is associated with cardiometabolic risk factors and the metabolic syndrome, and it’s the most common chronic liver disease among adults in developed countries; 34% of adults in the United States have NAFLD.1 Individuals with the disease have a higher risk of all causes of mortality, largely because of the coexistence of the metabolic syndrome.2 Despite considerable research in this area, NAFLD’s pathogenesis isn’t fully understood. Most patients with a fatty liver have excess body weight; obesity is a common and well-documented risk factor for NAFLD and a predictor of advanced disease. Both BMI and visceral obesity are risk factors for NAFLD. Given the close relationship between obesity, the metabolic syndrome, and the development of NAFLD, it isn’t surprising that many NAFLD patients have multiple components of the metabolic syndrome, whether or not they’re overweight or obese. No specific medications are approved for treating NAFLD.3,4 The current standard of care for treating patients with NAFLD focuses on lifestyle interventions, particularly diet and exercise. Sustained weight loss is the most effective treatment and should be the foundation of any treatment plan. This continuing education course reviews the dietary factors associated with NAFLD as well as the lifestyle and nutrition options for treating the disease. Obesity itself is a chronic inflammatory condition resulting from the failure of normal homeostatic regulation of energy intake, storage, and utilization.10 With obesity, particularly central obesity, there’s an expansion of visceral adipose tissue. Weight loss can change the activity of adipose tissue and reverse many negative consequences of the condition, including NAFLD, as can dietary macronutrient content. Energy balance is a major factor in liver fat accumulation. NAFLD can be a precursor to developing the metabolic syndrome or a “hepatic manifestation” of insulin resistance.11 Although the liver isn’t meant to store fat, caloric excess coupled with and unmatched caloric expenditure can result in fat accumulation in this organ. NASH patients have been shown to have higher energy intake compared with healthy controls.12 Overfeeding studies have clearly shown that an increased intake of fat,13,14 glucose, or fructose can increase liver fat in young, healthy individuals. In addition, several mechanisms may play a role in the pathogenesis of NAFLD, including insulin resistance, oxidative stress, and cytokine toxicity.15 These factors likely are present in those with severe obesity and NAFLD and at a significantly increased prevalence than in their normal-weight counterparts. A higher dietary fat intake with an increased ratio of omega-6 to omega-3 polyunsaturated fatty acids (PUFAs) and an increased intake of saturated and trans fatty acids is associated with liver inflammation and NAFLD.20-22 In contrast, 74 severely obese patients undergoing bariatric surgery demonstrated that a higher total fat intake was associated with lower odds of hepatic inflammation.23 It appears that the type of fat rather than the amount of fat makes the most difference in NAFLD patients. In a double-blind randomized controlled trial of two reduced-fat diets, one containing 30% total fat with 9% saturated fat and one containing 25% total fat with 6% saturated fat, compared with a control diet (38% fat with 14% saturated fat), both reduced-fat diets decreased LDL cholesterol in healthy male test subjects.32 HDL cholesterol also decreased, and triglyceride levels increased with the reduced-fat diets. This suggests that while reduced saturated fat intake (below 10%) may benefit patients with NAFLD, intake of less than 6% may have counterproductive effects on plasma lipids, specifically triglycerides. Trans fatty acids are implicated in the metabolic syndrome, as they’re strongly associated with an increase in inflammatory processes, plasma triglycerides, and cholesterol as well as a reduction in HDL cholesterol.34,35 While there are no human studies on trans fatty acids and NAFLD/NASH, animal studies have shown positive relationships between the increased consumption of trans fatty acids from oxidized oils and liver inflammation.36,37 Little is known about how lipids and trans fatty acids affect hepatic functions and oxidative stress. Growing evidence suggests that the epidemic of NAFLD is closely related to the Western dietary pattern and an increased intake of simple sugars, especially fructose.45,46 Whether there’s a link between fructose or high-fructose corn syrup and an increased risk of fatty infiltration of the liver or muscle is uncertain. Researchers have hypothesized that fructose can be linked to NAFLD through both indirect and direct mechanisms.47,48 Indirectly, fructose can lead to adverse metabolic effects that can increase the risk of developing NAFLD. Directly, fructose may cause hepatotoxic damage such as that seen with hereditary fructose intolerance. Decreased physical activity correlates with intrahepatic fat, decreased insulin sensitivity, and increased abdominal fat.60,61 Sedentary time alone is associated with metabolic status. The amount of time patients were sedentary predicted higher levels of fasting insulin, independent of the amount of time spent engaging in moderate- or vigorous-intensity activity.62 This highlights the importance of reducing sedentary time to improve metabolic health, possibly in addition to the benefits associated with a physically active lifestyle. At this time, there’s no evidence-based, approved drug therapy for NAFLD/NASH. Lifestyle change is a critical part of any attempt to reverse the course of NAFLD/NASH. NASH should be treated aggressively to prevent progression to cirrhosis, as these patients are seldom candidates for liver transplantation because of morbid obesity, cardiovascular disease, or other complications of their underlying conditions. Dietary macronutrient composition, physical activity, and behavioral therapy all play critical roles in successful weight loss. The minimal amount of weight loss for improving NASH hasn’t been determined. Long-term dietary intervention studies are limited; however, evidence suggests that weight loss is effective for improving liver disease related to NAFLD, as it positively influences insulin sensitivity, hypertension, and dyslipidemia. Bariatric surgery is the most effective strategy to help people who are obese achieve and maintain weight loss.75 However, no randomized controlled trials have examined bariatric surgery as a treatment option for NAFLD or NASH. But results from several uncontrolled studies76-78 and two small controlled studies79,80 indicate that weight loss (average 30% reduction in BMI and/or 60% excess weight loss) achieved through bariatric surgery reduces transaminases (alanine transaminase and aspartate transaminase) and NAFLD. Cirrhosis has been associated with adverse outcomes following bariatric surgery, including progression to liver transplantation.85 Hepatic decompensation can occur after gastric bypass, so a careful assessment for liver disease is indicated in gastric bypass candidates based on the high prevalence of NAFLD, including cirrhosis, in this population. Aside from the possibility of achieving weight loss through caloric restriction as a treatment for NAFLD, dietary composition can directly influence NAFLD development. There’s evidence that manipulating either macronutrient or micronutrient content can affect levels of inflammation, serum lipids, and insulin resistance independent of weight loss. A summary of nutrition therapy for NAFLD is provided in the table on page 52. 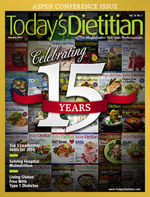 In two small randomized trials, patients following the Mediterranean diet, compared with those following an individualized isocaloric low-fat/high-carbohydrate diet, experienced a 29% to 38% reduction in hepatic fat and improved insulin sensitivity.92,93 The Mediterranean diet was high in MUFAs from olive oil and also contained omega-3 PUFAs from both plant and marine sources. The macronutrient composition of the diet was 40% of energy from fat (50% MUFAs and 18% omega-3 PUFAs), 40% from carbohydrate, and 20% from protein. These findings were independent of weight loss. Given the close relationship among the metabolic syndrome, obesity, and NAFLD, patients with NAFLD can benefit from including healthful fats in their diet. Three human clinical trials support these findings by showing that giving patients with NAFLD omega-3 PUFAs (1 to 2.7 g/day for six to 12 months) improved hepatic steatosis, inflammation, and fibrosis.21,22,99 Capanni and Spadaro both demonstrated that triglyceride levels decreased 25 to 37 mg/dL when patients’ diets were supplemented with 1 to 2 g of omega-3 PUFAs per day for six and 12 months, respectively. In contrast, a randomized 10-week study found that a diet high in omega-6 PUFAs (15% of energy as linoleic acid) reduced liver fat compared with a diet high in saturated fatty acids in abdominally obese patients.101 However, this study was not standardized or controlled. Diets with less carbohydrate and more fat have relatively greater benefits for insulin levels, triglycerides, and HDL cholesterol concentrations than do hypocaloric, low-fat diets.104,105 Ryan and collegues found that a hypocaloric diet moderately lower in carbohydrate (40% carbohydrate and 45% fat) decreased serum alanine transaminase concentrations to a greater degree than did a higher-carbohydrate, low-fat diet (60% carbohydrate and 25% fat).106 For individuals with NAFLD who were glucose intolerant, the low-carbohydrate caloric restriction significantly improved hepatic insulin sensitivity compared with the low-fat diet. In contrast, changes in visceral fat mass and insulin sensitivity were similar between a low-calorie, reduced-carbohydrate diet (fewer than 90 g of carbohydrate) and a reduced-fat diet (less than 20% fat).107 No prospective controlled dietary intervention studies have evaluated whether a low-fructose diet improves NAFLD. The World Health Organization recommends that the daily intake of added sugars makes up no more than 10% of total energy. The American Heart Association recommends limiting the amount of added sugars to no more than one-half of daily discretionary calories, which for women is approximately 100 kcal/day (6 tsp of sugar) and for men is 150 kcal/day (9 tsp of sugar). Improvement in insulin sensitivity has been shown to correlate with a reduction in total body fat, especially in visceral adiposity, which in turn contributes to the fatty acid delivery to the liver.111 As a result, a physical activity intervention leads to improvement in insulin resistance and may decrease hepatic steatosis, inflammation, and disease progression in NAFLD. O’Donovan and colleagues evaluated the effects of 24 weeks of moderate-intensity exercise (cycling three times per week at 60% VO2 max) to burn 400 kcal vs. high-intensity exercise (cycling three times per week at 80% VO2 max). Training at 60% VO2 max was comparable with 80% VO2 max as far as the effects on insulin sensitivity, triglycerides, and glucose concentration.118 It’s possible that the overall energy expenditure achieved per workout session is more important than the intensity of the exercise. Three cross-sectional studies investigated the association between maximal aerobic capacity (VO2 max), an estimate of cardiorespiratory fitness, and liver fat. While a small study128 found no significant difference in VO2 max between subjects with high vs. low liver fat, two larger studies129,130 showed a close relationship of fitness with both liver fat and NAFLD prevalence. Oxidative injury is a well-accepted cause of liver injury in NASH. Therefore, antioxidant treatments such as vitamin and mineral supplementation have been theorized to decrease oxidative stress and improve NAFLD. Oxidative stress is a key mechanism of hepatocellular injury and disease progression in subjects with NASH. The antioxidant vitamin E has been studied most in relation to NAFLD treatment. Comparing these trials is difficult because of different doses, varying criteria, and the use of other antioxidants to assess outcomes. The association between vitamin D status and NAFLD warrants further research. NAFLD and NASH are increasingly relevant public health issues that are closely associated with the worldwide epidemics of diabetes and obesity. While pharmacologic therapies are lacking, sustained weight loss is the most effective treatment for NAFLD. Early identification and treatment could prevent the development of cirrhosis, cardiovascular disease, and diabetes mellitus in this population. Lifestyle modification through diet and exercise must be the first-line therapy of any treatment plan for patients with NAFLD. Available studies suggest that weight loss of 5% or more improves steatosis, and weight loss of 7% or more improves histological disease activity in NASH. Long-term, moderate weight loss, including bariatric surgery, through the reduction of energy intake and regular physical exercise is recommended for patients with NAFLD. Five times weekly aerobic exercise of moderate to vigorous intensity lasting at least 30 minutes along with twice weekly resistance training should be a part of the lifestyle intervention, as this enhances whole-body lipid oxidation and improves steatosis and cardiometabolic risk regardless of weight loss. Reducing sedentary time should be highlighted and recommended to improve metabolic status. The influence of the dietary macronutrient composition is important and can help reduce hepatic fat and inflammation. Based on data from cardiovascular or diabetes trials and from limited studies in patients with NAFLD, a diet that is lower in carbohydrate and saturated fat and is higher in monounsaturated fats as well as dietary sources of omega-3 PUFAs likely will be beneficial. Dietary advice to limit consumption of all added caloric sweeteners, including high-fructose corn syrup, is warranted. There’s insufficient data to either support or refute the use of antioxidant and probiotic supplements for patients with NAFLD. In summary, weight loss, physical exercise, and dietary changes should be implemented on a long-term basis in all patients with NAFLD/NASH regardless of disease severity. — Erin McCarthy, MS, RD, CSSD, is an outpatient dietitian at the Center for Lifestyle Medicine at the Northwestern Medical Faculty Foundation in Chicago. She won the 2012 Mary P. Huddleson Memorial Award for her article “The Role of Diet and Nutrient Composition in Nonalcoholic Fatty Liver Disease,” which was published in the March 2012 issue of the Journal of the Academy of Nutrition and Dietetics. 1. Evaluate how weight gain as well as different types of fat and carbohydrate can increase liver fat in patients with nonalcoholic fatty liver disease (NAFLD). 2. Assess how weight loss, a low-sugar diet, and healthful fats improve cardiovascular and liver profiles in patients with NAFLD. 3. Determine how exercise, independent of weight loss, influences NAFLD and what types of exercise can be used to treat the disease. 1. Obesity has been directly associated with increases in the prevalence of which of the following? 2. Weight gain in normal-weight or obese individuals may be associated with higher levels of which of the following? 3. Which of these fatty acids has been linked to an increased risk of developing nonalcoholic fatty liver disease (NAFLD) in animal studies? 4. Marge was diagnosed with nonalcoholic steatohepatitis (NASH) two months ago and learned from a website that fruit juicing with agave nectar and prunes is the best way to “shrink her liver.” What nutrient could Marge consume in excess quantity if she followed that advice? 5. What type of diet is best suited for treating NAFLD? 6. An RD who works in an outpatient nutrition clinic has a patient who’s obese and has been diagnosed with NAFLD. The patient is taking 1,000 mg of omega-3 PUFAs (300 mg of EPA + 200 mg DHA) to improve his liver enzymes. What steps should the RD take to inform the patient of proper supplementation? a. Tell the patient to avoid all supplements. b. Inform the patient that there’s no conclusive data on how omega-3 fatty acid supplements may improve NAFLD, but discuss how to increase dietary omega-3 intake. c. Tell the patient to discuss omega-3 fatty acid supplementation with his hepatologist or primary care physician. 7. Diets that are lower in ______ and higher in ____ have relatively greater benefits on insulin, triglycerides, and HDL cholesterol concentrations than hypocaloric, low-fat diets. 8. For how long and at what level of intensity should adults exercise on most or all days of the week? 9. Resistance exercise reduces liver fat independent of weight loss in people with NAFLD. 10. Prebiotics and probiotics may improve liver enzymes by modifying which of the following? 1. Browning JD, Szczepaniak LS, Dobbins R, et al. Prevalence of hepatic steatosis in an urban population in the United States: impact of ethnicity. Hepatology. 2004;40(6):1387-1395. 2. Musso G, Gambino R, Cassader M, Pagano G. Meta-analysis: natural history of non-alcoholic fatty liver disease (NAFLD) and diagnostic accuracy of non-invasive tests for liver disease severity. Ann Med. 2011;43(8):617-649. 3. Pascale A, Pais R, Ratziu V. An overview of nonalcoholic steatohepatitis: past, present and future directions. J Gastrointestin Liver Dis. 2010;19(4):415-423. 4. Ratziu V, Bellentani S, Cortez-Pinto H, Day C, Marchesini G. A position statement on NAFLD/NASH based on the EASL 2009 special conference. J Hepatol. 2010;53(2):372-384. 5. Masuoka HC, Chalasani N. Nonalcoholic fatty liver disease: an emerging threat to obese and diabetic individuals. Ann N Y Acad Sci. 2013;1281:106-122. 6. Chalasani N, Younossi Z, Lavine JE, et al. The diagnosis and management of non-alcoholic fatty liver disease: practice guideline by the American Association for the Study of Liver Diseases, American College of Gastroenterology, and the American Gastroenterological Association. Gastroenterology. 2012;143(2):503. 7. Loria P, Adinolfi LE, Bellentani S, et al. Practice guidelines for the diagnosis and management of nonalcoholic fatty liver disease. A decalogue from the Italian Association for the Study of the Liver (AISF) Expert Committee. Dig Liver Dis. 2010;42(4):272-282. 8. Marchesini G, Bugianesi E, Forlani G, et al. Nonalcoholic fatty liver, steatohepatitis, and the metabolic syndrome. Hepatology. 2003;37(4):917-923. 9. Gholam PM, Flancbaum L, Machan JT, Charney DA, Kotler DP. Nonalcoholic fatty liver disease in severely obese subjects. Am J Gastroenterol. 2007;102(2):399-408. 10. Dandona P, Aljada A, Bandyopadhyay A. Inflammation: the link between insulin resistance, obesity and diabetes. Trends Immunol. 2004;25(1):4-7. 11. Vanni E, Bugianesi E, Kotronen A, De Minicis S, Yki-Järvinen H, Svegliati-Baroni G. From the metabolic syndrome to NAFLD or vice versa? Dig Liver Dis. 2010;42(5):320-330. 12. Capristo E, Miele L, Forgione A, et al. Nutritional aspects in patients with non-alcoholic steatohepatitis (NASH). Eur Rev Med Pharmacol Sci. 2005;9(5):265-268. 13. Sobrecases H, Lê KA, Bortolotti M, et al. Effects of short-term overfeeding with fructose, fat and fructose plus fat on plasma and hepatic lipids in healthy men. Diabetes Metab. 2010;36(3):244-246. 14. Ngo Sock ET, Le KA, Ith M, Kreis R, Boesch C, Tappy L. Effects of a short-term overfeeding with fructose or glucose in healthy young males. Br J Nutr. 2010;103(7):939-943. 15. Haynes P, Liangpunsakul S, Chalasani N. Nonalcoholic fatty liver disease in individuals with severe obesity. Clin Liver Dis. 2004;8(3):535-547. 16. Chitturi S, Abeygunasekera S, Farrell GC, et al. NASH and insulin resistance: insulin hypersecretion and specific association with the insulin resistance syndrome. Hepatol. 2002;35(2):373-379. 17. Lee JH, Rhee PL, Lee JK, et al. Role of hyperinsulinemia and glucose intolerance in the pathogenesis of nonalcoholic fatty liver in patients with normal body weight. Korean J Intern Med. 1998;13(1):12-14. 18. Jakobsen MU, Berentzen T, Sørensen TI, Overvad K. Abdominal obesity and fatty liver. Epidemiol Rev. 2007;29:77-87. 19. Donnelly KL, Smith CI, Schwarzenberg SJ, Jessurun J, Boldt MD, Parks EJ. Sources of fatty acids stored in liver and secreted via lipoproteins in patients with nonalcoholic fatty liver disease. J Clin Invest. 2005;115(5):1343-1351. 20. Kien CL. Dietary interventions for metabolic syndrome: role of modifying dietary fats. Curr Diab Rep. 2009;9(1):43-50. 21. Spadaro L, Magliocco O, Spampinato D, et al. Effects of n-3 polyunsaturated fatty acids in subjects with nonalcoholic fatty liver disease. Dig Liver Dis. 2008;40(3):194-199. 22. Tanaka N, Sano K, Horiuchi A, Tanaka E, Kiyosawa K, Aoyama T. Highly purified eicosapentaenoic acid treatment improves nonalcoholic steatohepatitis. J Clin Gastroenterol. 2008;42(4):413-418. 23. Solga S, Alkhuraishe AR, Clark JM, et al. Dietary composition and nonalcoholic fatty liver disease. Dig Dis Sci. 2004;49(10):1578-1583. 24. Lovejoy JC, Smith SR, Champagne CM, et al. Effects of diets enriched in saturated (palmitic), monounsaturated (oleic), or trans (elaidic) fatty acids on insulin sensitivity and substrate oxidation in healthy adults. Diabetes Care. 2002;25(8):1283-1288. 25. Vessby B, Uusitupa M, Hermansen K, et al. Substituting dietary saturated for monounsaturated fat impairs insulin sensitivity in healthy men and women: the KANWU Study. Diabetologia. 2001;44(3):312-319. 26. Xiao C, Giacca A, Carpentier A, Lewis GF. Differential effects of monounsaturated, polyunsaturated and saturated fat ingestion on glucose-stimulated insulin secretion, sensitivity and clearance in overweight and obese, non-diabetic humans. Diabetologia. 2006;49(6):1371-1379. 27. Tiikkainen M, Bergholm R, Vehkavaara S, et al. Effects of identical weight loss on body composition and features of insulin resistance in obese women with high and low liver fat content. Diabetes. 2003;52(3):701-707. 28. Vilar L, Oliveira CP, Faintuch J, et al. High-fat diet: a trigger of non-alcoholic steatohepatitis? Preliminary findings in obese subjects. Nutrition. 2008;24(11-12):1097-1102. 29. Sathiaraj E, Chutke M, Reddy MY, et al. A case-control study on nutritional risk factors in non-alcoholic fatty liver disease in Indian population. Eur J Clin Nutr. 2011;65(4):533-537. 30. Wang D, Wei Y, Pagliassotti MJ. Saturated fatty acids promote endoplasmic reticulum stress and liver injury in rats with hepatic steatosis. Endocrinology. 2006;147(2):943-951. 31. van den Berg SA, Guigas B, Bijland S, et al. High levels of dietary stearate promote adiposity and deteriorate hepatic insulin sensitivity. Nutr Metab (Lond). 2010;7:24. 32. Lefevre M, Champagne CM, Tulley RT, Rood JC, Most MM. Individual variability in cardiovascular disease risk factor responses to low-fat and low-saturated-fat diets in men: body mass index, adiposity, and insulin resistance predict changes in LDL cholesterol. Am J Clin Nutr. 2005;82(5):957-963. 33. Utzschneider KM, Bayer-Carter JL, Arbuckle MD, Tidwell JM, Richards TL, Craft S. Beneficial effect of a weight-stable, low-fat/low-saturated fat/low-glycaemic index diet to reduce liver fat in older subjects. Br J Nutr. 2013;109(6):1096-1104. 34. Eckel RH, Borra S, Lichtenstein AH, Yin-Piazza SY; Trans Fat Conference Planning Group. Understanding the complexity of trans fatty acid reduction in the American diet: American Heart Association Trans Fat Conference 2006: report of the Trans Fat Conference Planning Group. Circulation. 2007;115(16):2231-2246. 35. Mensink RP, Zock PL, Kester AD, Katan MB. Effects of dietary fatty acids and carbohydrates on the ratio of serum total to HDL cholesterol and on serum lipids and apolipoproteins: a meta-analysis of 60 controlled trials. Am J Clin Nutr. 2003;77(5):1146-1155. 36. Dhibi M, Brahmi F, Mnari A, et al. The intake of high fat diet with different trans fatty acid levels differentially induces oxidative stress and non alcoholic fatty liver disease (NAFLD) in rats. Nutr Metab (Lond). 2011;8(1):65. 37. Obara N, Fukushima K, Ueno Y, et al. Possible involvement and the mechanisms of excess trans-fatty acid consumption in severe NAFLD in mice. J Hepatol. 2010;53(2):326-334. 38. Toshimitsu K, Matsuura B, Ohkubo I, et al. Dietary habits and nutrient intake in non-alcoholic steatohepatitis. Nutrition. 2007;23(1):46-52. 39. Cortez-Pinto H, Jesus L, Barros H, Lopes C, Moura MC, Camilo ME. How different is the dietary pattern in non-alcoholic steatohepatitis patients? Clin Nutr. 2006;25(5):816-823. 40. Araya J, Rodrigo R, Videla LA, et al. Increase in long-chain polyunsaturated fatty acid n-6/n-3 ratio in relation to hepatic steatosis in patients with non-alcoholic fatty liver disease. Clin Sci (Lond). 2004;106(6):635-643. 41. York LW, Puthalapattu S, Wu GY. Nonalcoholic fatty liver disease and low-carbohydrate diets. Annu Rev Nutr. 2009;29:365-379. 42. Garg A, Bantle JP, Henry RR, et al. Effects of varying carbohydrate content of diet in patients with non-insulin-dependent diabetes mellitus. JAMA. 1994;271(18):1421-1428. 43. McLaughlin T, Abbasi F, Lamendola C, Yeni-Komshian H, Reaven G. Carbohydrate-induced hypertriglyceridemia: an insight into the link between plasma insulin and triglyceride concentrations. J Clin Endocrinol Metab. 2000;85(9):3085-3088. 44. Hudgins LC, Hellerstein M, Seidman C, Neese R, Diakun J, Hirsch J. Human fatty acid synthesis is stimulated by a eucaloric low fat, high carbohydrate diet. J Clin Invest. 1996;97(9):2081-2091. 45. Nomura K, Yamanouchi T. The role of fructose-enriched diets in mechanisms of nonalcoholic fatty liver disease. J Nutr Biochem. 2012;23(3):203-208. 46. Alisi A, Manco M, Pezzullo M, Nobili V. Fructose at the center of necroinflammation and fibrosis in nonalcoholic steatohepatitis. Hepatology. 2011;53(1):372-373. 47. Lim JS, Mietus-Snyder M, Valente A, Schwarz JM, Lustig RH. The role of fructose in the pathogenesis of NAFLD and the metabolic syndrome. Nat Rev Gastroenterol Hepatol. 2010;7(5):251-264. 48. Yilmaz Y. Review article: fructose in non-alcoholic fatty liver disease. Aliment Pharmacol Ther. 2012;35(10):1135-1144. 49. Huang D, Dhawan T, Young S, Yong WH, Boros LG, Heaney AP. Fructose impairs glucose-induced hepatic triglyceride synthesis. Lipids Health Dis. 2011;10:20. 50. Koo HY, Wallig MA, Chung BH, Nara TY, Cho BH, Nakamura MT. Dietary fructose induces a wide range of genes with distinct shift in carbohydrate and lipid metabolism in fed and fasted rat liver. Biochim Biophys Acta. 2008;1782(5):341-348. 51. Teff KL, Elliott SS, Tschöp M, et al. Dietary fructose reduces circulating insulin and leptin, attenuates postprandial suppression of ghrelin, and increases triglycerides in women. J Clin Endocrinol Metab. 2004;89(6):2963-2972. 52. Stanhope KL, Havel PJ. Fructose consumption: considerations for future research on its effects on adipose distribution, lipid metabolism, and insulin sensitivity in humans. J Nutr. 2009;139(6):1236S-1241S. 53. Assy N, Nasser G, Kamayse I, et al. Soft drink consumption linked with fatty liver in the absence of traditional risk factors. Can J Gastroenterol. 2008;22(10):811-816. 54. Abid A, Taha O, Nseir W, Farah R, Grosovski M, Assy N. Soft drink consumption is associated with fatty liver disease independent of metabolic syndrome. J Hepatol. 2009;51(5):918-924. 55. Thuy S, Ladurner R, Volynets V, et al. Nonalcoholic fatty liver disease in humans is associated with increased plasma endotoxin and plasminogen activator inhibitor 1 concentrations and with fructose intake. J Nutr. 2008;138(8):1452-1455. 56. Ouyang X, Cirillo P, Sautin Y, et al. Fructose consumption as a risk factor for non-alcoholic fatty liver disease. J Hepatol. 2008;48(6):993-999. 57. Abdelmalek MF, Suzuki A, Guy C, et al. Increased fructose consumption is associated with fibrosis severity in patients with nonalcoholic fatty liver disease. Hepatology. 2010;51(6):1961-1971. 58. Zelber-Sagi S, Nitzan-Kaluski D, Goldsmith R, et al. Role of leisure-time physical activity in nonalcoholic fatty liver disease: a population-based study. Hepatology. 2008;48(6):1791-1798. 59. Krasnoff JB, Painter PL, Wallace JP, Bass NM, Merriman RB. Health-related fitness and physical activity in patients with nonalcoholic fatty liver disease. Hepatology. 2008;47(4):1158-1166. 60. Perseghin G, Lattuada G, De Cobelli F, et al. Habitual physical activity is associated with intrahepatic fat content in humans. Diabetes Care. 2007;30(3):683-688. 61. Booth FW, Laye MJ, Lees SJ, Rector RS, Thyfault JP. Reduced physical activity and risk of chronic disease: the biology behind the consequences. Eur J Appl Physiol. 2008;102(4):381-390. 62. Helmerhorst HJ, Wijndaele K, Brage S, Wareham NJ, Ekelund U. Objectively measured sedentary time may predict insulin resistance independent of moderate- and vigorous-intensity physical activity. Diabetes. 2009;58(8):1776-1779. 63. Harrison SA, Fecht W, Brunt EM, Neuschwander-Tetri BA. Orlistat for overweight subjects with nonalcoholic steatohepatitis: a randomized, prospective trial. Hepatology. 2009;49(1):80-86. 64. Huang MA, Greenson JK, Chao C, et al. One-year intense nutritional counseling results in histological improvement in patients with non-alcoholic steatohepatitis: a pilot study. Am J Gastroenterol. 2005;100(5):1072-1081. 65. Shah K, Stufflebam A, Hilton TN, Sinacore DR, Klein S, Villareal DT. Diet and exercise interventions reduce intrahepatic fat content and improve insulin sensitivity in obese older adults. Obesity (Silver Spring). 2009;17(12):2162-2168. 66. Promrat K, Kleiner DE, Niemeier HM, et al. Randomized controlled trial testing the effects of weight loss on nonalcoholic steatohepatitis. Hepatology. 2010;51(1):121-129. 67. Wong VW, Wong GL, Choi PC, et al. Disease progression of non-alcoholic fatty liver disease: a prospective study with paired liver biopsies at 3 years. Gut. 2010;59(7):969-974. 68. Westerbacka J, Lammi K, Häkkinen AM, et al. Dietary fat content modifies liver fat in overweight nondiabetic subjects. J Clin Endocrinol Metab. 2005;90(5):2804-2809. 69. Petersen KF, Dufour S, Befroy D, Lehrke M, Hendler RE, Shulman GI. Reversal of nonalcoholic hepatic steatosis, hepatic insulin resistance, and hyperglycemia by moderate weight reduction in patients with type 2 diabetes. Diabetes. 2005;54(3):603-608. 70. Cowin GJ, Jonsson JR, Bauer JD, et al. Magnetic resonance imaging and spectroscopy for monitoring liver steatosis. J Magn Reson Imaging. 2008;28(4):937-945. 71. Tamura Y, Tanaka Y, Sato F, et al. Effects of diet and exercise on muscle and liver intracellular lipid contents and insulin sensitivity in type 2 diabetic patients. J Clin Endocrinol Metab. 2005;90(6):3191-3196. 72. Thamer C, Machann J, Stefan N, et al. High visceral fat mass and high liver fat are associated with resistance to lifestyle intervention. Obesity (Silver Spring). 2007;15(2):531-538. 73. Schäfer S, Kantartzis K, Machann J, et al. Lifestyle intervention in individuals with normal versus impaired glucose tolerance. Eur J Clin Invest. 2007;37(7):535-543. 74. Kantartzis K, Thamer C, Peter A, et al. High cardiorespiratory fitness is an independent predictor of the reduction in liver fat during a lifestyle intervention in non-alcoholic fatty liver disease. Gut. 2009;58(9):1281-1288. 75. Sjöström L, Lindroos AK, Peltonen M, et al. Lifestyle, diabetes, and cardiovascular risk factors 10 years after bariatric surgery. N Eng J Med. 2004;351(26):2683-2693. 76. Dixon JB, Bhathal PS, O'Brien PE. Weight loss and non-alcoholic fatty liver disease: falls in gamma-glutamyl transferase concentrations are associated with histologic improvement. Obes Surg. 2006;16(10):1278-1286. 77. Silvestre V, Ruano M, Domínguez Y, et al. Morbid obesity and gastric bypass surgery: biochemical profile. Obes Surg. 2004;14(9):1227-1232. 78. Stratopoulos C, Papakonstantinou A, Terzis I, et al. Changes in liver histology accompanying massive weight loss after gastroplasty for morbid obesity. Obes Surg. 2005;15(8):1154-1160. 79. Johansson HE, Haenni A, Ohrvall M, Sundbom M, Zethelius B. Alterations in proinsulin and insulin dynamics, HDL cholesterol and ALT after gastric bypass surgery. A 42-months follow-up study. Obes Surg. 2009;19(5):601-607. 80. Pontiroli AE, Pizzocri P, Librenti MC, et al. Laparoscopic adjustable gastric banding for the treatment of morbid (grade 3) obesity and its metabolic complications: a three-year study. J Clin Endocrinol Metab. 2002;87(8):3555-3561. 81. Burza MA, Romeo S, Kotronen A, et al. Long-term effect of bariatric surgery on liver enzymes in the Swedish Obese Subjects (SOS) study. PLoS One. 2013;8(3):e60495. 82. Hafeez S, Ahmed MH. Bariatric surgery as potential treatment for nonalcoholic fatty liver disease: a future treatment by choice or by chance? J Obes. 2013;2013:839275. 83. Mummadi RR, Kasturi KS, Chennareddygari S, Sood GK. Effect of bariatric surgery on nonalcoholic fatty liver disease: systematic review and meta-analysis. Clin Gastroenterol Hepatol. 2008;6(12):1396-1402. 84. Chavez-Tapia NC, Tellez-Avila FI, Barrientos-Gutierrez T, Mendez-Sanchez N, Lizardi-Cervera J, Uribe M. Bariatric surgery for non-alcoholic steatohepatitis in obese patients. Cochrane Database Syst Rev. 2010;(1):CD007340. 85. Mosko JD, Nguyen GC. Increased perioperative mortality following bariatric surgery among patients with cirrhosis. Clin Gastroenterol Hepatol. 2011;9(10):897-901. 86. Chalasani N, Younossi Z, Lavine JE, et al. The diagnosis and management of non-alcoholic fatty liver disease: practice guideline by the American Association for the Study of Liver Diseases, American College of Gastroenterology, and the American Gastroenterological Association. Hepatology. 2012;55(6):2005-2023. 87. Estruch R, Ros E, Salas-Salvadó J, et al. Primary prevention of cardiovascular disease with a Mediterranean diet. N Engl J Med. 2013;368(14):1279-1290. 88. van Herpen NA, Schrauwen-Hinderling VB, Schaart G, Mensink RP, Schrauwen P. Three weeks on a high-fat diet increases intrahepatic lipid accumulation and decreases metabolic flexibility in healthy overweight men. J Clin Endocrinol Metab. 2011;96(4):E691-695. Cholesterol/Know-Your-Fats_UCM_305628_Article.jsp. Accessed August 6, 2013. 90. Gillingham LG, Harris-Janz S, Jones PJ. Dietary monounsaturated fatty acids are protective against metabolic syndrome and cardiovascular disease risk factors. Lipids. 2011;46(3):209-228. 91. Alonso A, Ruiz-Gutierrez V, Martínez-González MA. Monounsaturated fatty acids, olive oil and blood pressure: epidemiological, clinical and experimental evidence. Public Health Nutr. 2006;9(2):251-257. 92. Ryan MC, Itsiopoulos C, Thodis T, et al. The Mediterranean diet improves hepatic steatosis and insulin sensitivity in individuals with non-alcoholic fatty liver disease. J Hepatol. 2013;59(1):138-143. 93. Bozzetto L, Prinster A, Annuzzi G, et al. Liver fat is reduced by an isoenergetic MUFA diet in a controlled randomized study in type 2 diabetic patients. Diabetes Care. 2012;35(7):1429-1435. 94. Grimsgaard S, Bønaa KH, Hansen JB, Myhre ES. Effects of highly purified eicosapentaenoic acid and docosahexaenoic acid on hemodynamics in humans. Am J Clin Nutr. 1998;68(1):52-59. 95. Bucher HC, Hengstler P, Schindler C, Meier G. N-3 polyunsaturated fatty acids in coronary heart disease: a meta-analysis of randomized controlled trials. Am J Med. 2002;112(4):298-304. 96. Mozaffarian D, Wu JH. Omega-3 fatty acids and cardiovascular disease: effects on risk factors, molecular pathways, and clinical events. J Am Coll Cardiol. 2011;58(20):2047-2067. 97. Mozaffarian D, Lemaitre RN, King IB, et al. Circulating long-chain omega-3 fatty acids and incidence of congestive heart failure in older adults: the cardiovascular health study: a cohort study. Ann Intern Med. 2011;155(3):160-170. 98. Ooi EM, Lichtenstein AH, Millar JS, et al. Effects of Therapeutic Lifestyle Change diets high and low in dietary fish-derived FAs on lipoprotein metabolism in middle-aged and elderly subjects. J Lipid Res. 2012;53(9):1958-1967. 99. Capanni M, Calella F, Biagini MR, et al. Prolonged n-3 polyunsaturated fatty acid supplementation ameliorates hepatic steatosis in patients with non-alcoholic fatty liver disease: a pilot study. Aliment Pharmacol Ther. 2006;23(8):1143-1151. 100. Patterson E, Wall R, Fitzgerald GF, Ross RP, Stanton C. Health implications of high dietary omega-6 polyunsaturated fatty acids. J Nutr Metab. 2012;2012:539426. 101. Bjermo H, Iggman D, Kullberg J, et al. Effects of n-6 PUFAs compared with SFAs on liver fat, lipoproteins, and inflammation in abdominal obesity: a randomized controlled trial. Am J Clin Nutr. 2012;95(5):1003-1012. 102. Khaw KT, Friesen MD, Riboli E, Luben R, Wareham N. Plasma phospholipid fatty acid concentration and incident coronary heart disease in men and women: the EPIC-Norfolk prospective study. PLoS Med. 2012;9(7):e1001255. 103. Ooi EM, Ng TW, Watts GF, Barrett PH. Dietary fatty acids and lipoprotein metabolism: new insights and updates. Curr Opin Lipidol. 2013;24(3):192-197. 104. McLaughlin T, Carter S, Lamendola C, et al. Effects of moderate variations in macronutrient composition on weight loss and reduction in cardiovascular disease risk in obese, insulin-resistant adults. Am J Clin Nutr. 2006;84(4):813-821. 105. Foster GD, Wyatt HR, Hill JO, et al. A randomized trial of a low-carbohydrate diet for obesity. N Engl J Med. 2003;348(21):2082-2090. 106. Ryan MC, Abbasi F, Lamendola C, Carter S, McLaughlin TL. Serum alanine aminotransferase levels decrease further with carbohydrate than fat restriction in insulin-resistant adults. Diabetes Care. 2007;30(5):1075-1080. 107. Haufe S, Engeli S, Kast P, et al. Randomized comparison of reduced fat and reduced carbohydrate hypocaloric diets on intrahepatic fat in overweight and obese human subjects. Hepatology. 2011;53(5):1504-1514. 108. Carter P, Khunti K, Davies MJ. Dietary recommendations for the prevention of type 2 diabetes: what are they based on? J Nutr Metab. 2012;2012:847202. 109. Kim J, Tanabe K, Yokoyama N, Zempo H, Kuno S. Association between physical activity and metabolic syndrome in middle-aged Japanese: a cross-sectional study. BMC Public Health. 2011;11:624. 110. Johnson NA, George J. Fitness versus fatness: moving beyond weight loss in nonalcoholic fatty liver disease. Hepatology. 2010;52(1):370-381. 111. Carroll JF, Franks SF, Smith AB, Phelps DR. Visceral adipose tissue loss and insulin resistance 6 months after laparoscopic gastric banding surgery: a preliminary study. Obes Surg. 2009;19(1):47-55. 112. Rector RS, Thyfault JP, Morris RT, et al. Daily exercise increases hepatic fatty acid oxidation and prevents steatosis in Otsuka Long-Evans Tokushima Fatty rats. Am J Physiol Gastrointest Liver Physiol. 2008;294(3):G619-626. 113. Mikus CR, Rector RS, Arce-Esquivel AA, et al. Daily physical activity enhances reactivity to insulin in skeletal muscle arterioles of hyperphagic Otsuka Long-Evans Tokushima Fatty rats. J Appl Physiol. 2010;109(4):1203-1210. 114. Shojaee-Moradie F, Baynes KC, Pentecost C, et al. Exercise training reduces fatty acid availability and improves the insulin sensitivity of glucose metabolism. Diabetologia. 2007;50(2):404-413. 115. Johnson NA, Sachinwalla T, Walton DW, et al. Aerobic exercise training reduces hepatic and visceral lipids in obese individuals without weight loss. Hepatology. 2009;50(4):1105-1112. 116. van der Heijden GJ, Wang ZJ, Chu ZD, et al. A 12-week aerobic exercise program reduces hepatic fat accumulation and insulin resistance in obese, Hispanic adolescents. Obesity (Silver Spring). 2010;18(2):384-390. 117. Bonekamp S, Barone BB, Clark J, Stewart KJ. The effect of an exercise training intervention on hepatic steatosis. Hepatology. 2008;48(Suppl 1):806a. 118. O'Donovan G, Kearney EM, Nevill AM, Woolf-May K, Bird SR. The effects of 24 weeks of moderate- or high-intensity exercise on insulin resistance. Eur J Appl Physiol. 2005;95(5-6):522-528. 119. Kistler KD, Brunt EM, Clark JM, et al. Physical activity recommendations, exercise intensity, and histological severity of nonalcoholic fatty liver disease. Am J Gastroenterol. 2011;106(3):460-468. 120. St George A, Bauman A, Johnston A, Farrell G, Chey T, George J. Independent effects of physical activity in patients with nonalcoholic fatty liver disease. Hepatology. 2009;50(1):68-76. 121. Sreenivasa Baba C, Alexander G, Kalyani B, et al. Effect of exercise and dietary modification on serum aminotransferase levels in patients with nonalcoholic steatohepatitis. J Gastroenterol Hepatol. 2006;21(1 Pt 1):191-198. 122. Chen SM, Liu CY, Li SR, Huang HT, Tsai CY, Jou HJ. Effects of therapeutic lifestyle program on ultrasound-diagnosed nonalcoholic fatty liver disease. J Chin Med Assoc. 2008;71(11):551-558. 123. de Mello MT, de Piano A, Carnier J, et al. Long-term effects of aerobic plus resistance training on the metabolic syndrome and adiponectinemia in obese adolescents. J Clin Hypertens (Greenwich). 2011;13(5):343-350. 124. de Piano A, de Mello MT, Sanches Pde L, et al. Long-term effects of aerobic plus resistance training on the adipokines and neuropeptides in nonalcoholic fatty liver disease obese adolescents. Eur J Gastroenterol Hepatol. 2012;24(11):1313-1324. 125. Hallsworth K, Fattakhova G, Hollingsworth KG, et al. Resistance exercise reduces liver fat and its mediators in non-alcoholic fatty liver disease independent of weight loss. Gut. 2011;60(9):1278-1283. 126. Jakovljevic DG, Hallsworth K, Zalewski P, et al. Resistance exercise improves autonomic regulation at rest and haemodynamic response to exercise in non-alcoholic fatty liver disease. Clin Sci (Lond). 2013;125(3):143-149. 127. Zelber-Sagi S, Ratziu V, Oren R. Nutrition and physical activity in NAFLD: an overview of the epidemiological evidence. World J Gastroenterol. 2011;17(29):3377-3389. 128. Seppälä-Lindroos A, Vehkavaara S, Häkkinen AM, et al. Fat accumulation in the liver is associated with defects in insulin suppression of glucose production and serum free fatty acids independent of obesity in normal men. J Clin Endocrinol Metab. 2002;87(7):3023-3028. 129. Nguyen-Duy TB, Nichaman MZ, Church TS, Blair SN, Ross R. Visceral fat and liver fat are independent predictors of metabolic risk factors in men. Am J Physiol Endocrinol Metab. 2003;284(6):E1065-1071. 130. Church TS, Kuk JL, Ross R, Priest EL, Biltoft E, Blair SN. Association of cardiorespiratory fitness, body mass index, and waist circumference to nonalcoholic fatty liver disease. Gastroenterology. 2006;130(7):2023-2030. 131. Lawlor DA, Sattar N, Smith GD, Ebrahim S. The associations of physical activity and adiposity with alanine aminotransferase and gamma-glutamyltransferase. Am J Epidemiol. 2005;161(11):1081-1088. 132. Newton JL, Jones DE, Henderson E, et al. Fatigue in non-alcoholic fatty liver disease (NAFLD) is significant and associates with inactivity and excessive daytime sleepiness but not with liver disease severity or insulin resistance. Gut. 2008;57(6):807-813. 133. Wong SL, Katzmarzyk P, Nichaman MZ, Church TS, Blair SN, Ross R. Cardiorespiratory fitness is associated with lower abdominal fat independent of body mass index. Med Sci Sports Exerc. 2004;36(2):286-291. 134. Hasegawa T, Yoneda M, Nakamura K, Makino I, Terano A. Plasma transforming growth factor-beta1 level and efficacy of alpha-tocopherol in patients with non-alcoholic steatohepatitis: a pilot study. Aliment Pharmacol Ther. 2001;15(10):1667-1672. 135. Kugelmas M, Hill DB, Vivian B, Marsano L, McClain CJ. Cytokines and NASH: a pilot study of the effects of lifestyle modification and vitamin E. Hepatology. 2003;38(2):413-419. 136. Sanyal AJ, Chalasani N, Kowdley KV, et al. Pioglitazone, vitamin E, or placebo for nonalcoholic steatohepatitis. N Engl J Med. 2010;362(18):1675-1685. 137. Arendt BM, Allard JP. Effect of atorvastatin, vitamin E and C on nonalcoholic fatty liver disease: is the combination required? Am J Gastroenterol. 2011;106(1):78-80. 138. Sesso HD, Buring JE, Christen WG, et al. Vitamins E and C in the prevention of cardiovascular disease in men: the Physicians' Health Study II randomized controlled trial. JAMA. 2008;300(18):2123-2133. 139. Bjelakovic G, Nikolova D, Gluud LL, Simonetti RG, Gluud C. Antioxidant supplements for prevention of mortality in healthy participants and patients with various diseases. Cochrane Database Syst Rev. 2012;3:CD007176. 140. Pittas AG, Lau J, Hu FB, Dawson-Hughes B. The role of vitamin D and calcium in type 2 diabetes. A systematic review and meta-analysis. J Clin Endocrinol Metab. 2007;92(6):2017-2029. 141. Kendrick J, Targher G, Smits G, Chonchol M. 25-hydroxyvitamin D deficiency is independently associated with cardiovascular disease in the Third National Health and Nutrition Examination Survey. Atherosclerosis. 2009;205(1):255-260. 142. Targher G, Bertolini L, Scala L, et al. Associations between serum 25-hydroxyvitamin D3 concentrations and liver histology in patients with non-alcoholic fatty liver disease. Nutr Metab Cardiovasc Dis. 2007;17(7):517-524. 143. Musso G, Anty R, Petta S. Antioxidant therapy and drugs interfering with lipid metabolism: could they be effective in NAFLD patients? Curr Pharm Des. 2013;19(29):5297-5313. 144. Di Minno MN, Russolillo A, Lupoli R, Ambrosino P, Di Minno A, Tarantino G. Omega-3 fatty acids for the treatment of non-alcoholic fatty liver disease. World J Gastroenterol. 2012;18(41):5839-5847. 145. Compare D, Coccoli P, Rocco A, et al. Gut-liver axis: the impact of gut microbiota on non alcoholic fatty liver disease. Nutr Metab Cardiovasc Dis. 2012;22(6):471-476. 146. Loguercio C, De Simone T, Federico A, et al. Gut-liver axis: a new point of attack to treat chronic liver damage? Am J Gastroenterol. 2002;97(8):2144-2146. 147. Loguercio C, Federico A, Tuccillo C, et al. Beneficial effects of a probiotic VSL#3 on parameters of liver dysfunction in chronic liver diseases. J Clin Gastroenterol. 2005;39(6):540-543. 148. Li DY, Yang M, Edwards S, Ye SQ. Nonalcoholic fatty liver disease: for better or worse, blame the gut microbiota? JPEN J Parent Enteral Nutr. 2013;Epub ahead of print. 149. Karahan N, Isler M, Koyu A, et al. Effects of probiotics on methionine choline deficient diet-induced steatohepatitis in rats. Turk J Gastroenterol. 2012;23(2):110-121. 150. Mencarelli A, Cipriani S, Renga B, et al. VSL#3 resets insulin signaling and protects against NASH and atherosclerosis in a model of genetic dyslipidemia and intestinal inflammation. PLoS One. 2012;7(9):e45425. 151. Aller R, De Luis DA, Izaola O, et al. Effect of a probiotic on liver aminotransferases in nonalcoholic fatty liver disease patients: a double blind randomized clinical trial. Eur Rev Med Pharmacol Sci. 2011;15(9):1090-1095. 152. Lirussi F, Mastropasqua E, Orando S, Orlando R. Probiotics for non-alcoholic fatty liver disease and/or steatohepatitis. Cochrane Database Syst Rev. 2007(1):CD005165. 153. Abdelmalek MF, Sanderson SO, Angulo P, et al. Betaine for nonalcoholic fatty liver disease: results of a randomized placebo-controlled trial. Hepatology. 2009;50(6):1818-1826. 154. Dufour JF, Oneta CM, Gonvers JJ, et al. Randomized placebo-controlled trial of ursodeoxycholic acid with vitamin E in nonalcoholic steatohepatitis. Clin Gastroenterol Hepatol. 2006;4(12):1537-1543. 155. Sahebkar A. Potential efficacy of ginger as a natural supplement for nonalcoholic fatty liver disease. World J Gastroenterol. 2011;17(2):271-272. 156. Look AHEAD Research Group, Wadden TA, West DS, et al. The Look AHEAD study: a description of the lifestyle intervention and the evidence supporting it. Obesity (Silver Spring). 2006;14(5):737-752. 157. Tsai AG, Wadden TA. The evolution of very-low-calorie diets: an update and meta-analysis. Obesity (Silver Spring). 2006;14(8):1283-1293. 158. Nishida C, Uauy R, Kumanyika S, Shetty P. The joint WHO/FAO expert consultation on diet, nutrition and the prevention of chronic diseases: process, product and policy implications. Public Health Nutr. 2004;7(1A):245-250. 159. US Department of Agriculture, US Department of Health and Human Services. Dietary Guidelines for Americans, 2010. 7th ed. Washington, DC: US Government Printing Office; 2010. 160. Cave M, Deaciuc I, Mendez C, et al. Nonalcoholic fatty liver disease: predisposing factors and the role of nutrition. J Nutr Biochem. 2007;18(3):184-195. 161. Physical Activity Guidelines Advisory Committee. Physical Activity Guidelines Advisory Committee Report, 2008. Washington, DC: US Department of Health and Human Services; 2008.